60/40 cotton/polyester slub jersey knit blend with loose-fitting body and high-low hem. 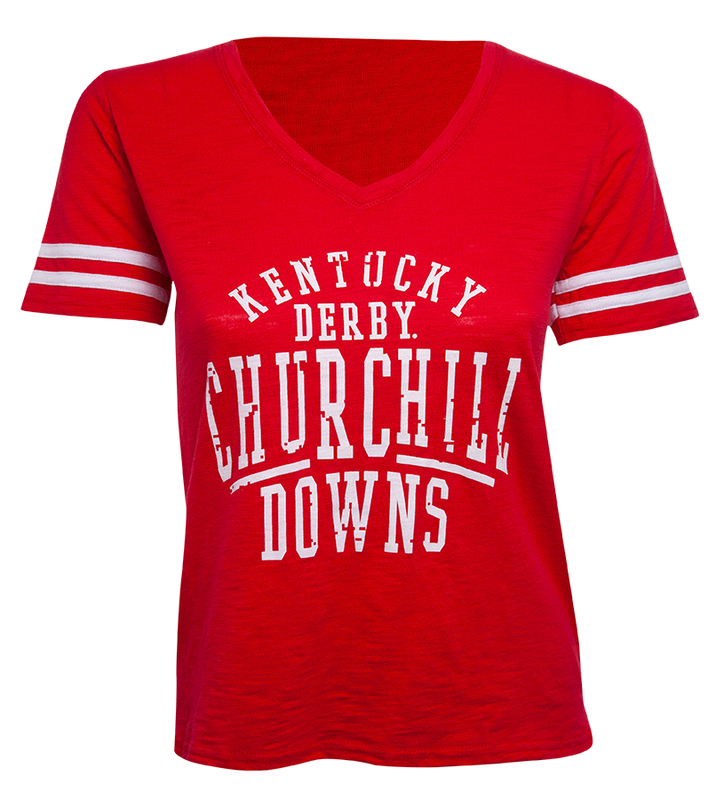 Features a Churchill Downs design on the chest. Available in red in juniors' sizes S-XL.